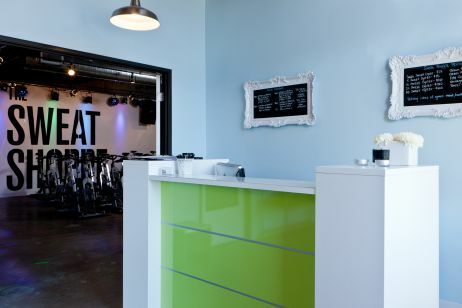 The Valley has been hurting for a great spinning studio, and it finally got one! 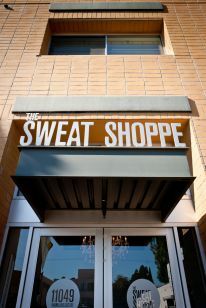 The Sweat Shoppe is located on Magnolia in the NoHo Arts District between Vineland and Lankershim. This isn’t your run-of-the-mill spinning studio though. 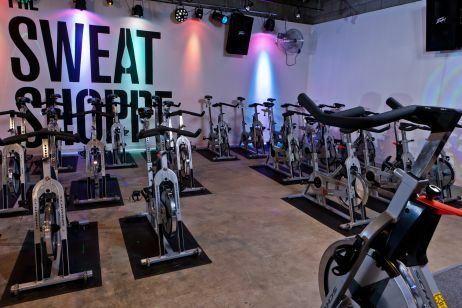 The Sweat Shoppe offers Classic Cycle and Sweat Cycle (think Bikram but on a bike). The style of spinning is the same for both classes, but the room is set at a comfortable 68 degrees for Classic Cycle, and at 75-80 degrees for the Sweat Cycle. Both classes are offered daily so be sure to try out both to find out which one is right for you. Spinning shoes are not required, but are available to rent for a nominal fee. The studio is no-frills, but very inviting, and they have brand new high performance Schwinn IC pro bikes. The owners Mimi Benz and Jason Squire have created a spinning gem, and we are positive that you are going to love it! 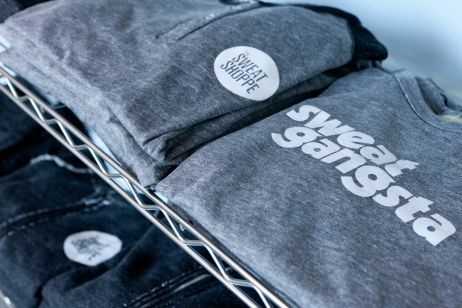 I had been anticipating the opening of the Sweat Shoppe for a few months and signed up for one of the very first classes offered. As a fitness junkie, I know better than to EVER be late to a class, but I guess there is a first for everything. The studio is clearly marked but somehow I managed to get lost and ended up being five minutes late. I was completely mortified but was determined to workout! Jason Squire was so sweet, and even helped to set up my bike while he was teaching the class, and came over a few time to check on me, which was very much appreciated. The bikes are awesome, and the studio is sleek and simple. The instructors are amazing and truly care about your workout…and your form. Besides the great workout, I have to say that the playlists are so motivating and span all genres and decades. There are cubbies in the spin room for your personal belongings, no need to put your bag down on a sweaty floor. Classes are offered throughout the day, and for all the early risers like me, they have recently added a few 6:30 am classes. Be sure to check out this new spot and let us know what you think! I love the sweat shoppe! It’s the best spin studio I’ve even been too, it’s right by my house and it’s the best workout! Jason and Mimi are the best in every way, they take care of you, they care about your workout and you truly get the best workout. I recommend that everyone try this spin studio out, it’s worth it!